4th Annual Spring Valley Tailgate & BBQ Festival - San Diego Dining Dish! 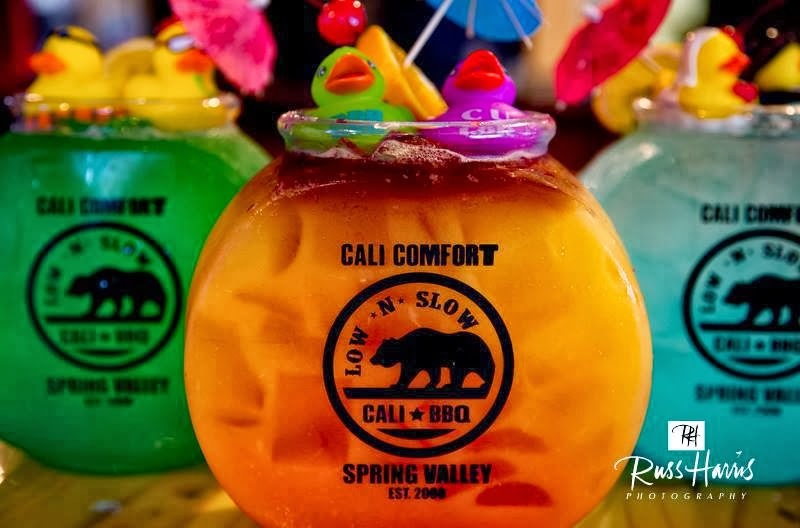 Fire up the grills San Diego, Cali Comfort BBQ Restaurant and Sports Bar is hosting their 4th Annual Spring Valley Charity Tailgate and BBQ Festival on October 20th from 10am-5pm. Proceeds from this family friendly event will be donated directly to local youth sports teams. Taking place in front of this renowned BBQ spot, Troy Street will be closed off and transformed into Spring Valley’s memorable block party and California’s largest amateur barbeque competition. Barbeque teams will be competing in several different meat categories, with produce provided by event sponsor, Valley Farm Market. Entrance to the Tailgate Festival is free to the public and the event encourages families to come out and enjoy the grilled samplings, live entertainment, craft vendors, beer garden, and fun zone for the kids! Funds that are raised at the Spring Valley Tailgate and BBQ Festival will be circulated among local youth sports organizations. Money raised will then be used to sponsor scholarships for students who otherwise may not have been able to take part in their local leagues. To keep in the spirit of athletics, Cali Comfort will be airing all Sunday NFL games on their several flat screen TV’s while offering a line up of local draft beers. A panel of judges will be critiquing the 30 participating barbeque teams and announcing 1st, 2nd, and 3rd place cash prices! Spring Valley and Cali Comfort hope to raise money, build strong community ties, and be recognized as a premier barbeque destination! If you are interested in any sponsor opportunities or forming a barbecue team email springvalleybbqfestival@gmail.com or call (619) 670-9902. Cali Comfort is located at 8910 Troy Street, Spring Valley, CA 91977.